1. 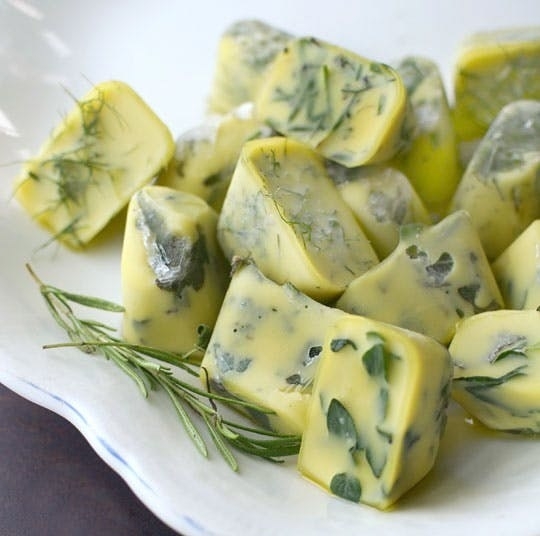 For the perfect ready-to-use recipe starters, freeze fresh herbs with some olive oil. Don't you hate when you buy fresh herbs for a recipe, have some left over, and slowly watch them wither and die in the fridge? No more! 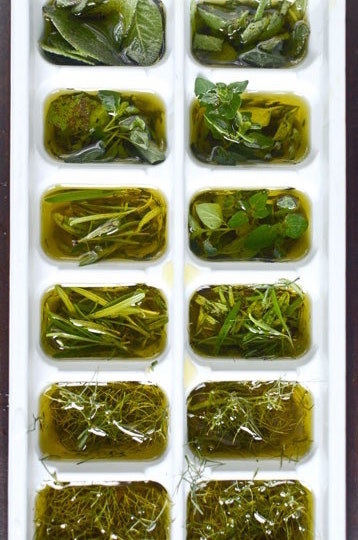 Take the leftover herbs and put them in an ice cube tray with olive oil. Next time you need that seasoning, you have a delicious flavor nugget ready to go. This works with fresh herbs, minced garlic, grated ginger, etc. Learn more about the method here and get more ice cube tray hacks here. 2. To prevent melted chocolate from clumping or burning, melt butter first, remove the pan from the heat — and then add chocolate chips. The residual heat from the saucepan will melt the chocolate in the butter, and you'll have perfect, creamy, non-burnt chocolate to use in your recipes! 3. 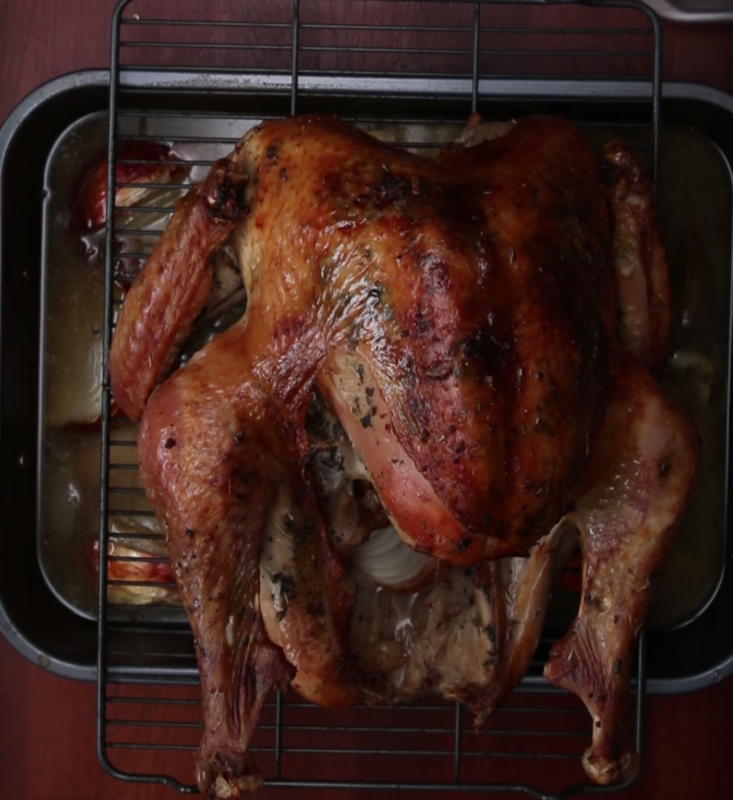 Spread butter under the skin of your turkey to make it super brown and crispy. Separating the skin from the meat with your hands can be a bit tricky, but all you need is to be patient and delicate. And the result is so worth it: The skin gets way crispier because it's been separated from the meat and the fat from the butter helps brown it beautifully. 4. Crack an egg into your mashed potatoes, when they're almost ready, to make them extra creamy. Forget about cream and butter, the secret to super creamy mashed potatoes is apparently adding an egg to the mix (after all, it works for pasta carbonara so why not here?). And if you're worried about adding a raw egg to your food, fear not: The heat of the mashed potatoes will cook it and make it safe to eat. 5. For super juicy chicken breasts, quickly brine them before you cook them. All you need is water, salt, and 15 minutes. It has so much more flavor and it will be so juicy! 6. Roll cookie dough between two sheets of plastic wrap before you chill it for easy cleanup. After it’s chilled, you can just cut out your shapes and bake them. It works great. There’s no extra flour so cookies don’t get tough and you don’t have to roll a disk of super cold dough, which is basically impossible. 7. For delicious vegan desserts, try using aquafaba (AKA chickpea water) as a substitute for cream or eggs. I’ve made some pretty awesome vegan chocolate mousse with that! 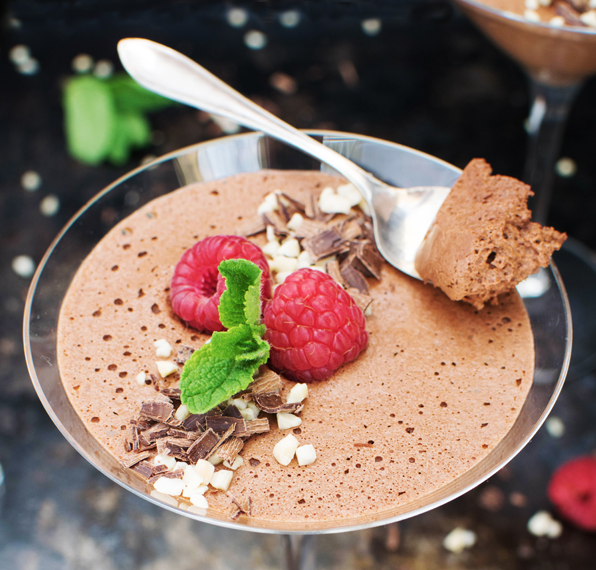 Get the recipe for the chocolate mousse here and more ideas on how to use aquafaba here. 8. Make peeling butternut squash less of a headache by microwaving the squash for a few minutes first. I cut off the top and bottom, stabbed the crap out of the squash with a fork, and microwaved it for 3-5 minutes. Once cooled, I could peel the skin with a peeler instead of a knife (where I felt I was either losing half the squash or leaving part of the skin on). 9. Take your dish to the next level by finishing it off with a touch of acid. I’ve always sort of scoffed at TV chefs who squeeze lemon into and onto everything but now I get it. Acidity, saltiness, and sweetness are the holy trinity of food and if you taste your cooking and find that “something, not sure what” is missing, I bet adding a little lemon, lime, or balsamic vinegar will make all the difference. 10. Use ground coffee to enhance the flavor of chocolate cake. The bitterness of the coffee will add an amazing depth of flavor to your chocolate. Adding a teaspoon of espresso powder to your batter works too. 11. Use broth instead of water to add flavor to your savory dishes. 12. 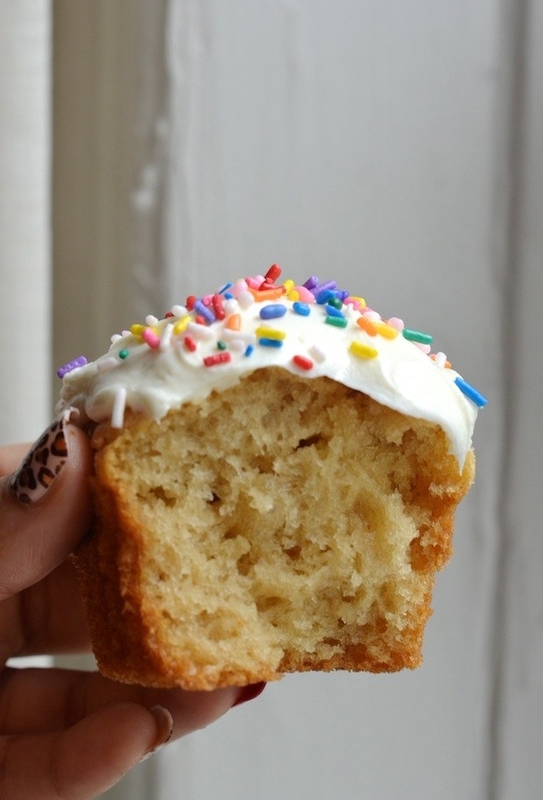 Add mayo to your cake batters for a super moist cake. We swear, it works. Sounds gross but I swear to god it makes such a great difference. When you think about it, mayo is just eggs and oil so it makes sense it'd work wonder in a cake. Get the recipe for those cupcakes here. 13. For the perfect sear, pat your meat dry with paper towel before cooking. It helps the seasoning stick and it will make the skin nice and crispy. Seriously, it makes a huge difference when cooking steak, chicken, and fish. It takes your food from boring and squishy to restaurant quality. 14. 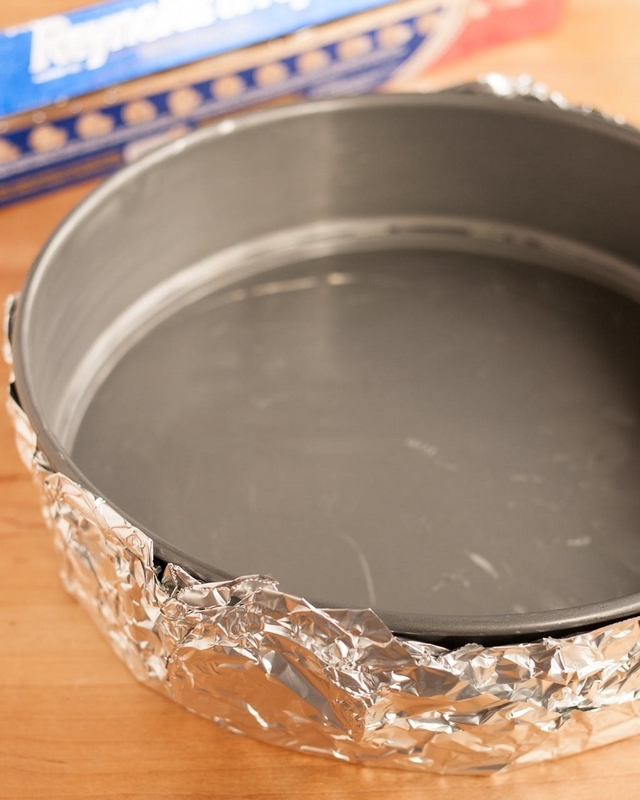 When baking a cheesecake, line your pan with foil for better heat distribution. 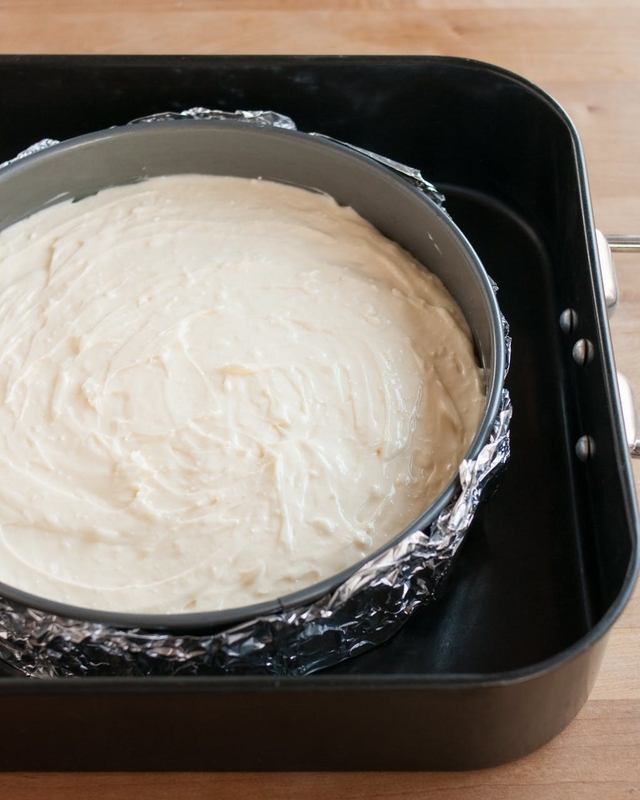 if you're ever making cheesecake, line the outside of your pan with aluminum foil, to ensure that a) the water doesn't get in when you do a water bath and b) you get a more even heat distribution! 15. Freeze your ginger to make it easier to grate. This way, it also won't go bad. 16. 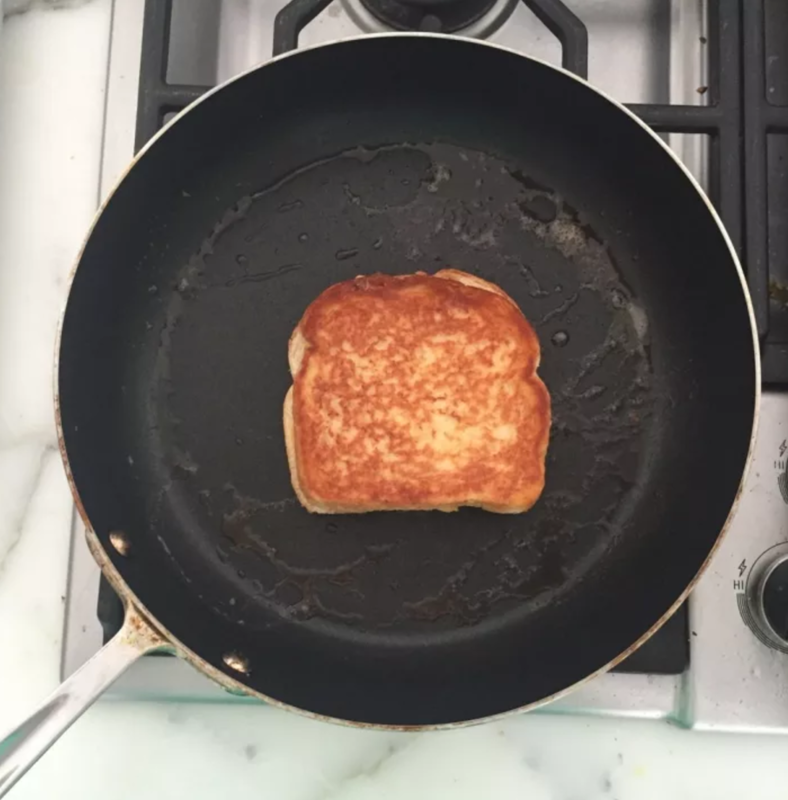 And use mayo instead of butter for your grilled cheese sandwiches. This will give you a super golden and crispy crust. 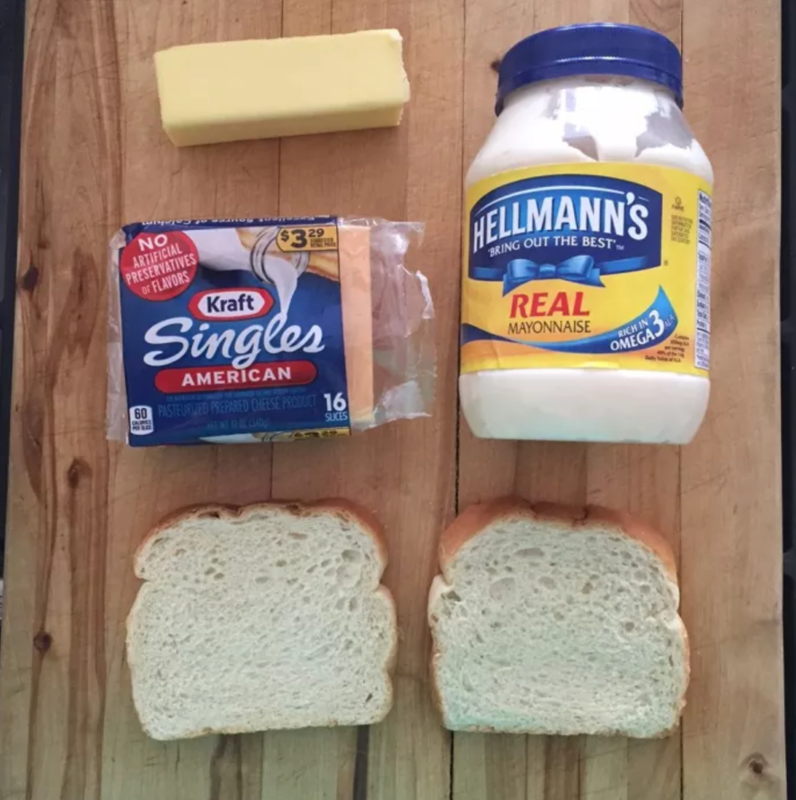 Again, mayo is mostly fat, so it's no wonder it makes for a great flavor booster and promotes browning. 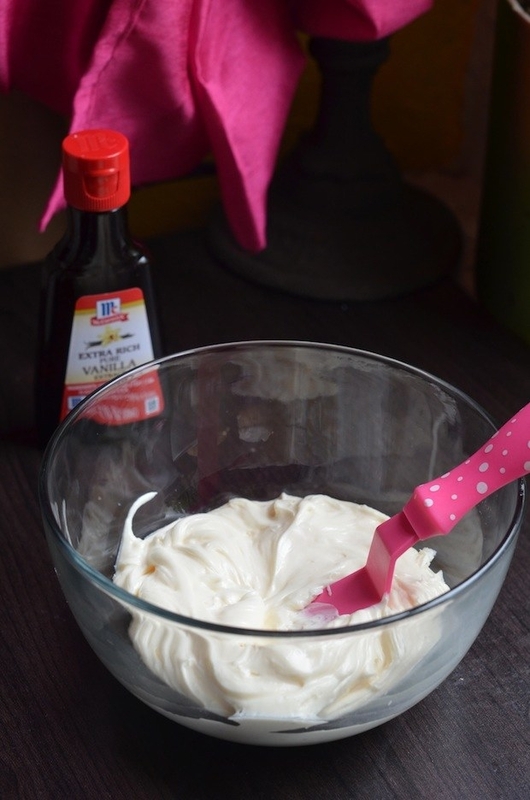 Find more cooking hacks using mayo here.